An individual that authorities believe was in possession of a large quantity of drugs is in custody after a lengthy pursuit in Conway County. The suspect allegedly fled from authorities on foot following a traffic stop on Monday afternoon near the 103-mile marker of Interstate 40 near Blackwell. 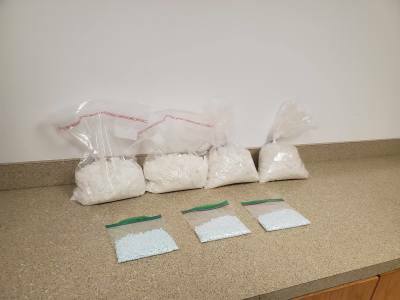 According to the Conway County Sheriff's Office, the suspect ran while an Arkansas State Trooper secured the other occupants of the vehicle after locating a large amount of suspected methamphetamine.